Despite the widespread use of peat in Ireland, traditionally they do not use it heavily for malting their barley. 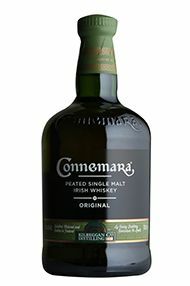 Connemara, uniquely, is made from pronouncedly smoked barley imported from Scotland. The whiskey has a grassy sweetness and strong smoky nature.